If you’ve suffered an injury that hinders your range of motion, you’ll know that it can have a significant bearing on your lifestyle. When treating musculoskeletal pains that affect your muscles, joints and bones, you have to understand the full extent of your condition. As a Richmond Hill physiotherapy and rehabilitation centre, we’ve had patients come in with all sorts of chronic pain symptoms. Often times, however, they fail to ask the right questions that could help them understand their treatment measures and how to effectively cope with them. Granted, when you approach your physiotherapist for the first time after an accident, a sports injury or for arthritic discomfort, it can be pretty daunting to know where to begin. Should you wait for the doctor to lead the conversation or do you take the floor? To get through the initial meeting, we’ve compiled a list of questions below that will help you take charge of the situation. Remember, rehabilitation for chronic pain is a two-way street and doesn’t simply involve your physiotherapist droning on and on about a list of medications and exercises to get you better. A full recovery depends on your active participation just as much! 1. Can you provide an explanation for my symptoms (one-off or lifestyle related)? This is one of the most crucial questions, the answer to which could afford you a much better understanding of your condition. No two patients are the same, so chances are, your physiotherapist won’t have textbook answers as soon as you walk in, but will have to sit you down for a thorough assessment. it’s important to understand the reasons due to which your pain started, how it impacts your life, and what makes it better or worse. Protocol differs from one clinic to another, but most likely your physiotherapist will proceed with a physical assessment to gauge the nature and extent of your injury. They will also consider existing medical conditions, health history and the likes. At this stage, you can get an idea of whether the pain was caused due to poor lifestyle choices over a period of time or due to an extraordinary one-off circumstance such as an accident or injury. 2. What is the diagnosis of my condition? Symptoms refer to the signs that stem from a certain condition, whereas diagnosis pertains to the underlying cause of your chronic pain. For instance, your symptoms can be swelling around the ankles. The diagnosis is that your ankle ligaments have been stretched beyond their limit and are inflamed as a result. The torn ligaments are what cause external swelling. Quite unfortunately, the terms symptoms and diagnosis are used interchangeably. When in fact, a collection of symptoms are what prompt a diagnosis. There are a variety of ailments that can be easily diagnosed based on their symptoms, as not too many other conditions have symptoms that overlap. Other symptoms, such as back pain, for instance, are a little trickier to diagnose and will require a more in-depth process of elimination. 3. How long will my treatment last and when will my full range of motion be restored? Understanding your treatment measures is a priority. 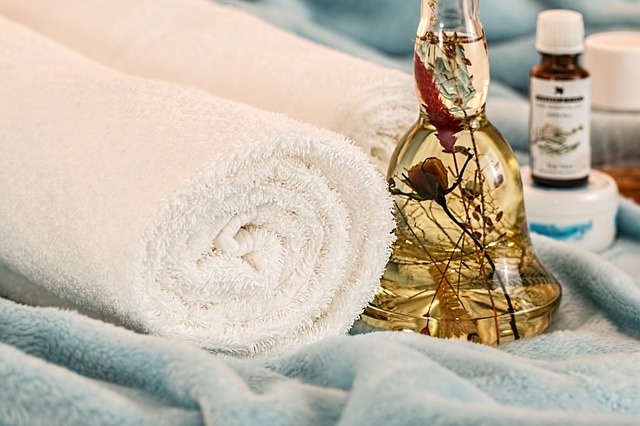 Besides asking whether the treatment is meant to address the symptoms alone or get to the root of the problem, you should also ask about the general treatment timeline. Note that this question shouldn’t simply be asked so you are aware of when you will be rid of having to undergo treatment. It should be approached from the point of view of coinciding the timeline your therapist gives you to your improvement schedules. This will help you validate their diagnosis and find out whether or not you’re really improving or whether your symptoms are stagnant. For instance, if the therapist says that your ankle swelling should subside after two treatment sessions but the symptoms persist after four, your diagnosis will have to be reevaluated. Alternatively, the therapist will also ascertain whether, for whatever reason, your body has stopped responding to the treatment as it did before. Of course, timeline predictions aren’t an exact science and you must remember to afford reasonable leeway. This is why voicing your concerns at every turn is very important so that the quality and efficacy of the treatment isn’t being compromised on. 4. What sort of treatment goals should I set in place so as to cope better? With the help of your physiotherapist, draw up specific treatment goals at each stage of your treatment plan. For example, if you’re experiencing ankle pain and have severe swelling as well as loss of range of motion, one treatment goal could be to reduce swelling after the third treatment session. Another could be to experience a drastic improvement in your joint’s flexibility by treatment session six. It’s important to be as realistic as possible when creating these goals. Once you reach them, they serve as an accomplishment and will spur you on to complete the treatment to the best of your ability. Even when the process seems discouraging, remind yourself to not be put off. If you aren’t able to meet a specific treatment goal, all’s not lost. Explore that with your physiotherapist and find out why. 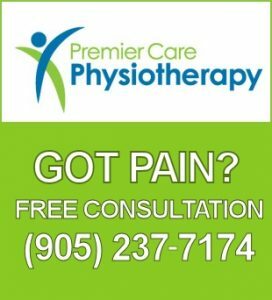 Treat Your Chronic Pain With Our Licensed Richmond Hill Physiotherapists! Turn to licensed medical practitioners to rehabilitate your pain and restore your range of motion. Call (905) 237-7174 to reserve an appointment today.